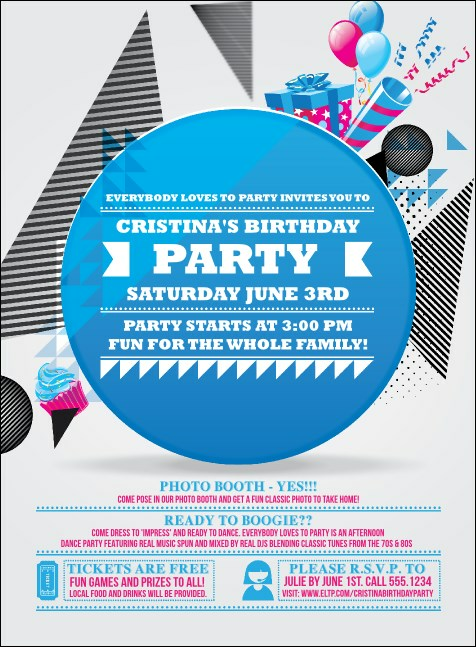 Get your guest list good and ready to put on their party hats when you send out Birthday Party Geometric Invitations before your event. Watch the RSVPs roll in with Invitation templates that feature a contemporary theme that includes beautiful bright pink and blue coloring as well as fun shapes in all sizes. TicketPrinting.com wants to give you the gift of great advertising.